You're going to love Smash Booth. 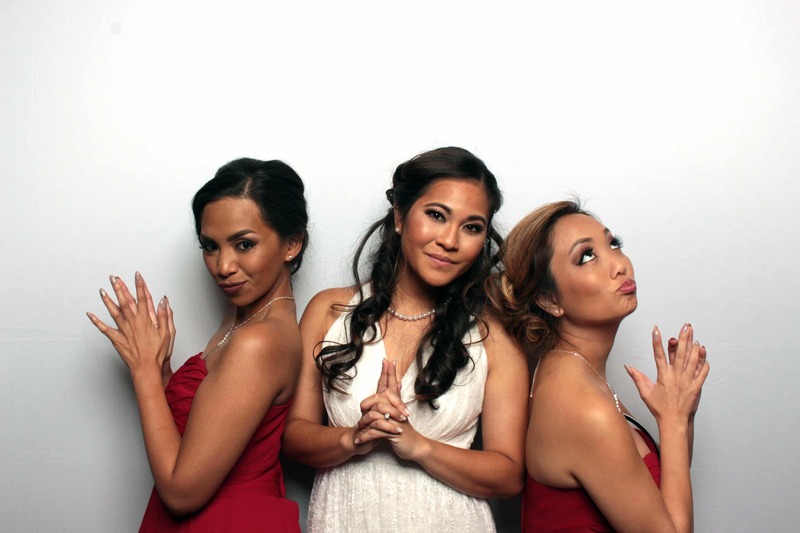 Smash Booth is a premier photo booth rental company designed specifically for premier clients and events. Using the same professional equipment and advanced techniques which we use to execute major marketing events, we've raised the bar Las Vegas photo booth rentals. We want to create an experience for you and your guests that cannot be forgotten. We understand that a great photo booth experience begins with the very first contact. We've spent a great deal of time perfecting our booking system, specifically with destination events in mind (but we still love our locals!). With our super streamlined workflows, everything from requesting a quote & paying your invoice to picking your perfect backdrop and personalizing your photo strip, can all be done online. It's so easy. Whether you're looking for an enclosed or open style photo booth, a traditional booth or Magic Mirror photo booth, something with boomerang, GIFs, or green screen, it's no problem. We also offer an array of photo strip options, in both sizes as well as graphics, we provide over 30 choices of backdrops, hundreds of props... Whatever the celebration, if you're looking for a photo booth rental in Las Vegas, we have you covered. As an award winning photo booth rental company in Las Vegas, we demand that quality is a factor in everything we do and no detail is overlooked. From the customer service we provide at booking, the care we take while designing your event, to the awesome staff we have on site to ensure you and your guests have an amazing time... There's a reason that we're the most highly rated photo booth rental company in Nevada. Just like your grandma adding a dash of love as her secret ingredient when baking cookies, we offer an absolutely amazing and unforgettable Las Vegas photo booth rental experience because we absolutely love what we do, and it shows. We love Las Vegas and we love being part of the cities exciting event industry. We can't wait for you to love Smash Booth! Our calendar fills quickly, lock in your spot now! Every company will tell you how great they are, but we feel our past clients can tell you better. "Smash Booth made my parent's 50th anniversary a 'SMASH' success! They showed up early to have everything ready before our first guest arrived and they really got the party started! Everyone, and I mean everyone, raved about the pictures! I can't thank the Smash Booth team enough. We had just been to another wedding that had a "photo booth" (NOT Smash Booth) and the quality was terrible & the white balance was waaay off. Naturally we were concerned for our own wedding photo booth. Thankfully, Smash Booth delivered! They're friendly and extremely easy to work with. Thanks Smash Booth for making our wedding even more special and memorable!" "Smash Booth was absolutely amazing! Thankfully Smash Booth was able to help us with ease. They were quick to respond to emails & certainly relieved any stress we had. All of our guests LOVED their service & photo quality. We were so impressed with his prices, custom props, and customoized scrapbook. Such a memorable keepsake. We would highly recommend Smash Booth to everyone for any event. After our wedding night we felt like we made a friend, not just a vendor." Use the links below to find us on social media, read our reviews or learn more how we can help with you wedding, holiday party, prom, mitzvah, sweet 16, graduation party or any other Las Vegas event!